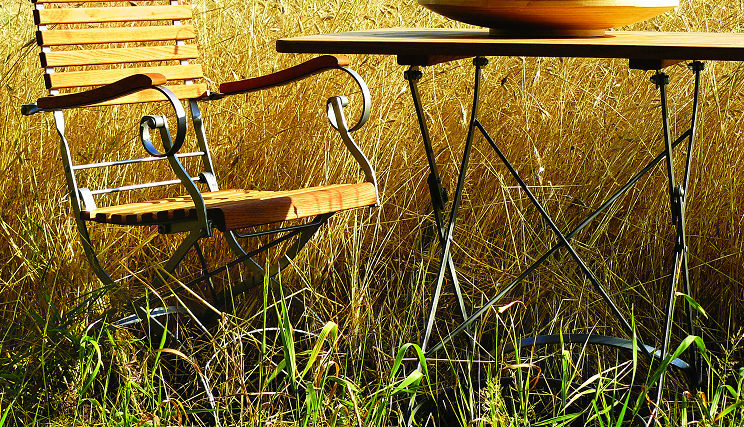 Crafted from powder coated wrought iron, our bistro inspired collection ESTELLA in robinia wood is perfect for small spaces and spontaneous entertaining. Slightly curved backrests provide comfortable support. ESTELLA chairs, armchairs, and tables arrive fully assembled and can be folded for storage. Heavy duty materials will last for years.